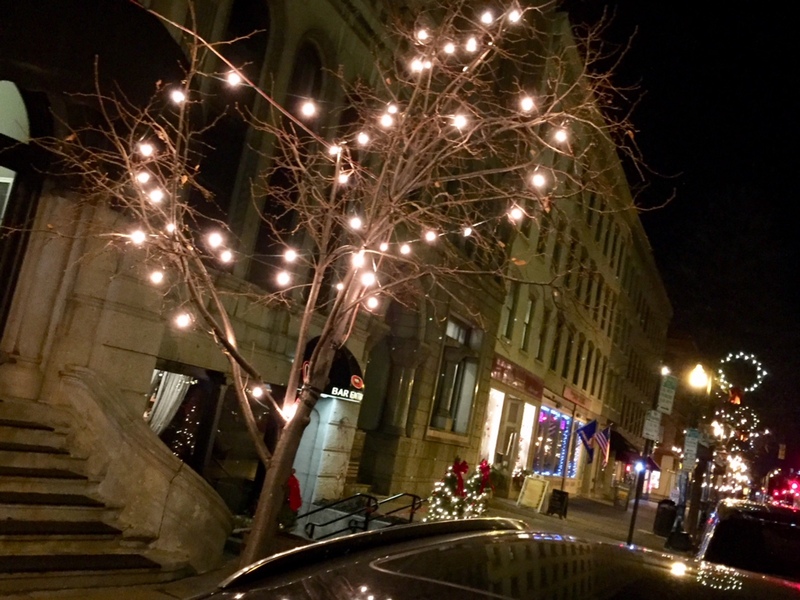 Walking through downtown Syracuse this holiday season, the decorated trees in Hanover Square caught my eye. Just like the one on our front lawn, only not multi-colored. Like our lawn at A Bitty Better in the Liverpool neighborhood of Galeville, they’re working with non-evergreen-style trees to decorate. Work with what ya got and it will be alright. I like this look MBM.